myBoelter offers Perlick's Stainless Steel Blender Station w/ Faucet is the perfect setup for efficient blender service. 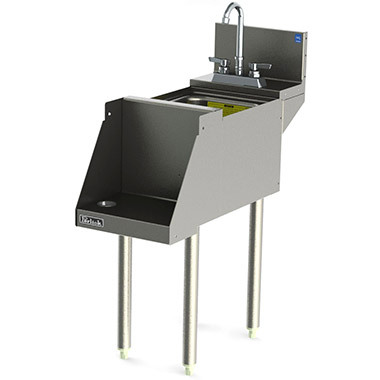 This station features a deep-drawn bowl which is ideal for rinsing blender components. Products are low enough under the bar to prevent liquids from spilling onto the bar counter, keeping the service area clean and organized. Blenders are ideal for mixing up delicious frozen drinks like margaritas, pina coladas and daquiris.